Just because you guys are so awesome, I will be giving away to one lucky winner, some pretty neat stuff!! In my giveaway box, there will be a set of 4 ramekins, a set of 4 clear measuring cups by Wilton, and an Oxo kitchen scale!! You must be a subscriber to my Youtube channel, and you must follow me on Twitter to win this contest! Watch the video to get more details!! Here's a picture of the crab paste in soybean oil. 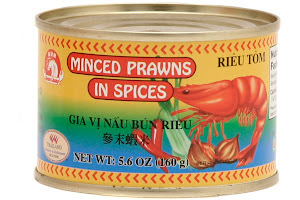 This paste is also used in a very popular Vietnamese noodle dish called Bun Rieu. I will post a recipe on that one in the future as well! The brand I used in the video is the only one sold at the Hmart near my house but if you can find the canned ones, those taste even better! 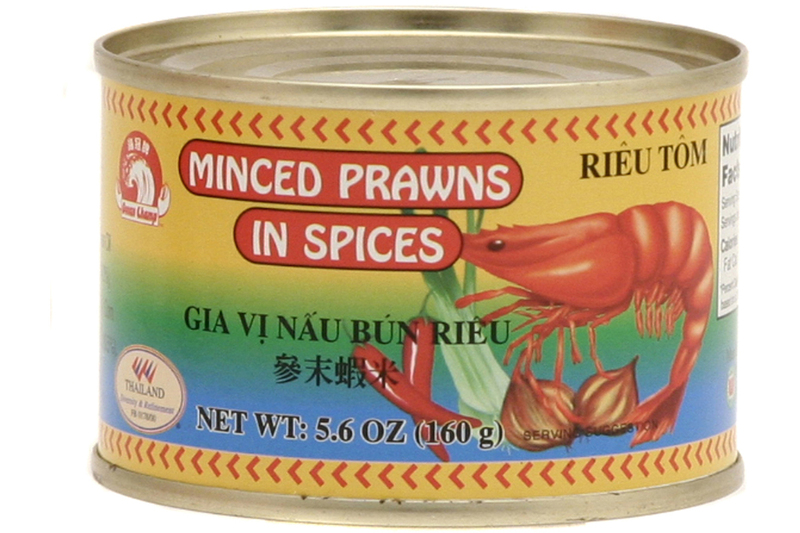 Here's one of my favorites and it's actually "minced prawns in spices" and it comes in a little can. SOOOO GOOD!! Using a nut cracker(or the back of a heavy knife), gently crack your crab claws. This will make sure that they cook evenly with the little crab legs and also makes it easier for you to remove the shells while eating. 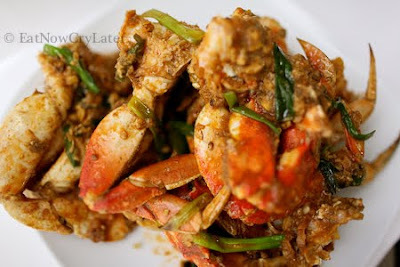 Coat the crab with cornstarch and set aside. Next make your sauce with ingredients listed above, and set aside. Then with your wok on medium high heat, add in your chopped shallot and cook for 1 minute. Throw in your lemongrass and cook for about 2 minutes. Now, add in your chopped garlic and cook until fragrant. Pour in your sauce mixture and mix well. 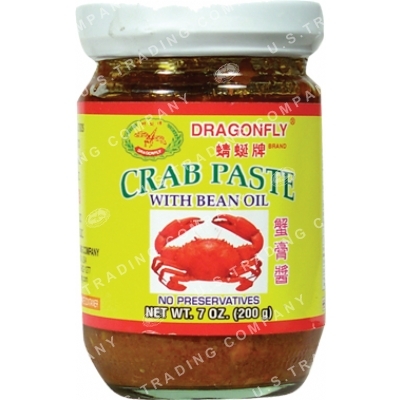 Add in your coated crabs and toss to coat. Cover with lid and cook for about 5 minutes. Remove lid, stir, and add in your scallions along with 2 Tbsp. of water. Stir again, cover, and cook until crab meat is opaque. Stir often, being careful not to burn the sauce on the bottom of the pan. Serve immediately with a side of white rice! Notes: Make sure none of your layers are super thin. If it seems too runny, add more frozen yogurt(or frozen strawberries) to thicken it up. 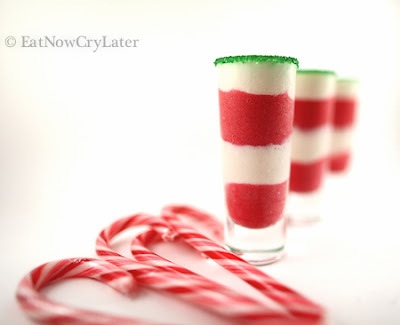 If the mixture is too thin, you will have a hard time layering them(but if it's too thick then you will have a hard time drinking them too). Haha. These keep well in the fridge for a few hours. The white layer will begin to separate the longer you let them sit so I would recommend drinking within an hour or two after you've made them(at room temp it will begin to separate after 1-2 hours). Watch the video below to see how it's done! Thanks for stopping by guys!! Using a mixing bowl and sieve, drain the juice from the canned clams and set the clams aside along with your lobster. Add more clam juice into mixing bowl to total 5 cups. Next, add your sliced bacon into a large, ungreased skillet, and fry until crunchy. Remove the bacon but leave the fatty goodness in the skillet. On medium heat, add in your shallots and cook until almost browned. Then, add in your chopped garlic and cook until fragrant. Add in your diced carrots, potatoes, and celery and cook for a couple of minutes. Pour in all of your clam juice and bring it all to a rolling boil. Turn the heat down a bit then cover and cook for about 20-25 minutes. Once tender, remove lid and turn heat down to LOW. In a separate, smaller saucepan on medium heat, add in your softened butter. When your butter has completely melted, quickly add in your flour(all at once), and whisk until smooth. Once smooth, pour in your heavy cream and continue to whisk until sauce has slightly thickened. Strain your heavy cream mixture and then pour it into your veggie and soup base. Mix to combine and then add in your clams and lobster. Stir until heated completely through. Taste check and add in some salt, white pepper, and some sugar to taste. Serve immediately, or allow to cool down and place in the fridge overnight. Garnish with bacon pieces and chopped scallions. Using a sharp serrated knife, slice off the top part of the boule. 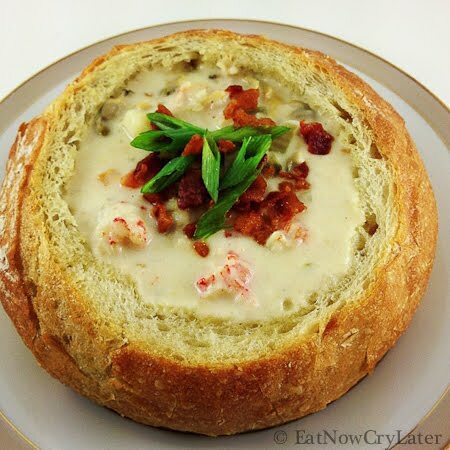 Use your knife or hands to tear out the inside bread to create a pocket for your chowder. Take some extra virgin olive oil and brush the insides and all around the outside of your bread bowl. Bake for 7-8 minutes or until bread has slightly browned. Garnish and serve immediately.